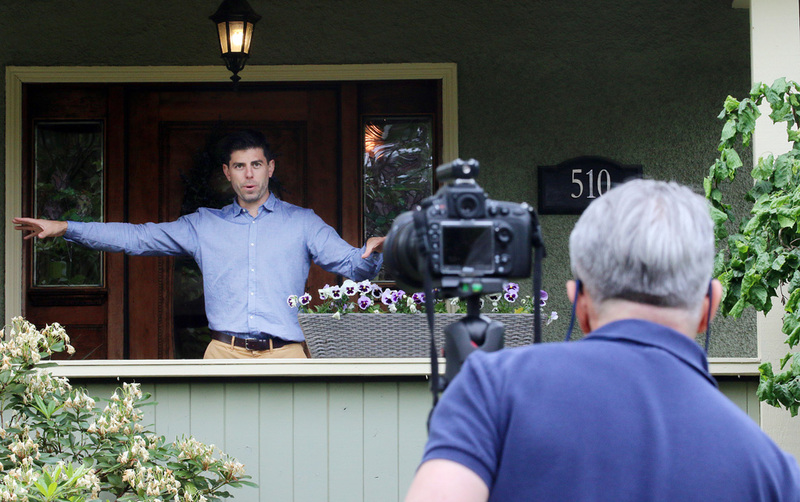 Home photos are the most important marketing tool to attract the attention of buyers. 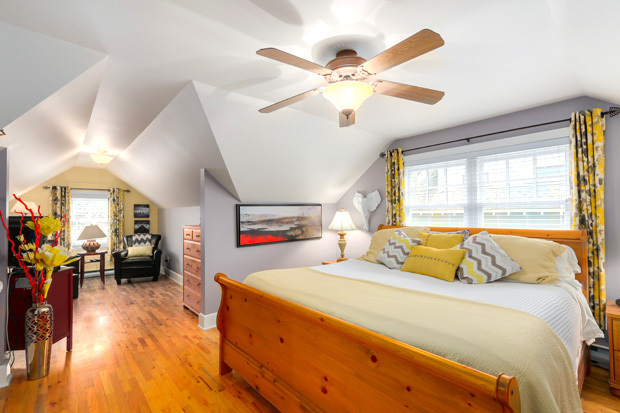 We use professional photographers who specialize in making your home look great in the real estate photos that will be used online and in printed marketing materials. But even they can only do so much. The photographer is there to photograph your property, not tidy up or rearrange the furniture. So a little advance preparation will go a long way to achieving great results. Sometimes you’ve got to pitch in to make sure everything looks just perfect for the photographer. 1. If you’ve been putting off trimming the hedges, weeding the garden and repairing the fence, get it done before the photographer shows up. Home photos of the exterior create an important first impression. Remove kids’ toys, garbage bins, garden tools. Coil up the garden hose and store it away. Wipe down outdoor furniture and arrange it in an inviting way. Sweep the walk and move the cars out of the driveway. Making sure your house looks great outside will give it curb appeal in home photos. 2. Photographers love bright rooms. So do purchasers. Open up the blinds and curtains. Make sure the windows are clean. Turn on all the lights, including those that are part of the furniture like a bookshelf, or on an appliance like the stove. If any bulbs are burned out, replace them. 3. Get rid of the clutter. Make sure the kitchen counters are as free and open as possible by removing small appliances, stacks of dishes, drying racks. Arrange the items that are left, like storage canisters. Squirrel away cleaning products and implements. Take the holiday photos, dentist’s notices and kids’ artwork off the fridge. If you’ve got child locks on cabinets, remove them. The same general principal of decluttering applies to every room in the house. 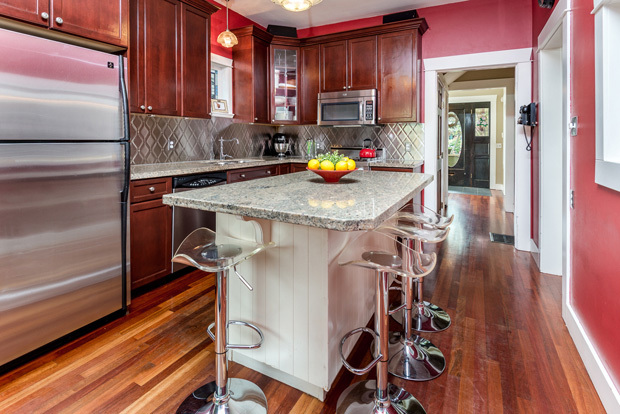 Clear clutter from the kitchen so it presents well in home photos. 4. In the family room, lighten the load on any bookshelves; remove the books with torn or frayed covers and spines, put the magazines in the recycle bin. Clear off the coffee table or any side tables of remotes, family photos. Put away the kids’ toys. Arrange the pillows on a couch or chair; put aside that weird velour one from Daytona Beach that has sentimental value only to you. Try to hide the tangle of wires and cables that connect your home entertainment system. 5. In the dining room, sweep the floor, clear away the dishes, arrange the chairs neatly around the table. Add a nice centrepiece, like a bowl of fresh fruit or a vase of flowers. 6. In the bedrooms, don’t forget to make the beds with a nice bedspread and fluff and arrange the pillows. Clear off the nightstand as well as the top of the dresser of doodads like phone chargers, tissue boxes, jewelry. Hang clothes in the closet or stash them in the dresser. Minimize the number of personal, quirky decorations or mementos. And don’t just secret everything under the bed; it might just show up in the photos. Make bedrooms look inviting by clearing the clutter, fluffing pillows and turning on lights. 7. In the bathroom, clear off the vanity and the top of the toilet tank. Remove soap, shampoos, razors, washcloths and toys from the tub and shower enclosure. Make sure the shower curtain is clean. Move items like the toilet brush, waste basket, scale, bathmat and laundry basket out of the room. Close the toilet lid and hang fresh, colour-coordinated towels on the racks. Great real estate photos will make your property look like a home; just not necessarily your home. 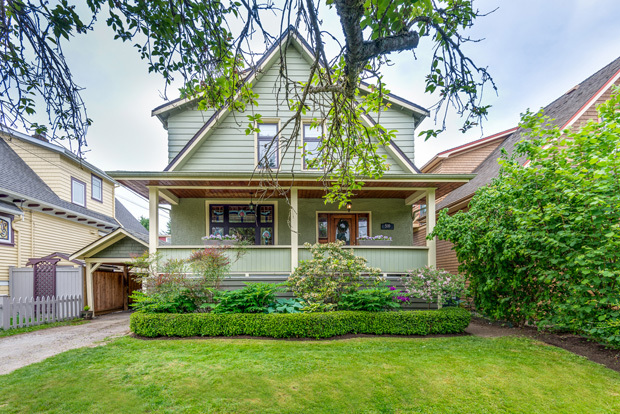 The property has to look attractive and inviting so purchasers can imagine seeing themselves in the space and will want to click through the entire listing, or better yet, check it out in person.